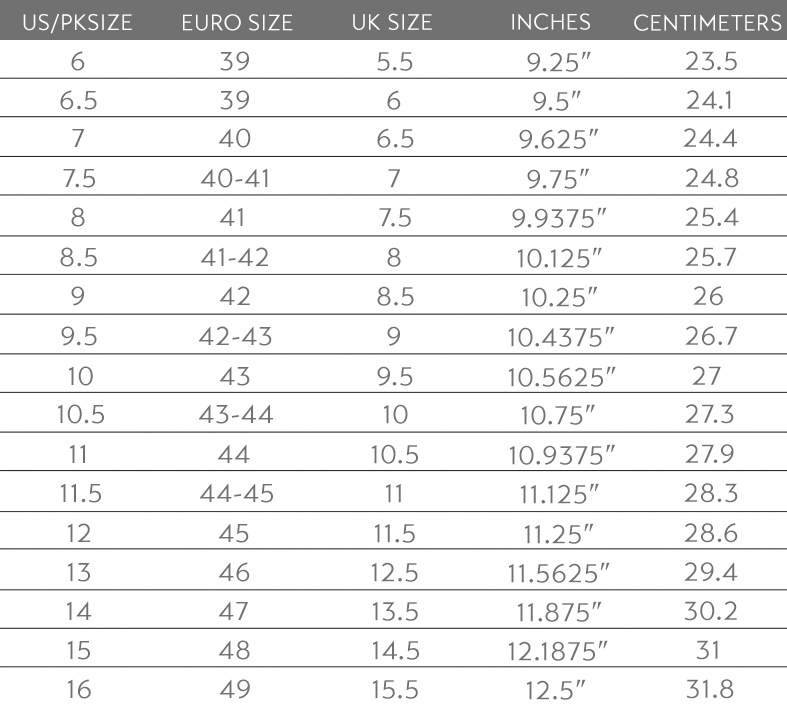 Need a little advice on formal shoes? Then we've got you covered here at The Idle Man for all you need to know. Read more Men's Style Guide features. There are many types of men's shoes, and getting the perfect look starts from the feet up. Feeling comfortable; physically and mentally in a pair of fresh shoes can completely update your style, and it's important that you have the best quality shoes to suit your budget. It's easy to find the best dress shoes for suits, but it's harder to find ones that go with both casual and formal wear, without loosing their unique look. In this guide we'll show you five dress shoes, and run you through the dos and don't of pulling them off, and keeping them looking their best. The fact of the matter is a pair of trainers, no matter now nice they are, won’t cut it in all social situations, and having a good selection of smart shoes is the best way to be prepared for any situation. The ball of your foot should fit comfortably into the widest part of your shoe. There should be half an inch space between your longest toe and the end of the shoe. Your foot shouldn't slip in your shoe, and if it is but you're desperate for them, get yourself an inner sole to bulk it out. Leather formal shoes will soften, but they won't stretch in the same way that other shoes will, so your shoe has to fit perfectly when you first try it on. Formal shoes, whatever the style, need to be properly cared for in order to look their best. A scruffy pair of suede monk straps or a scuffed pair of oxford shoes is going to ruin any kind of formality that you're going for, and give your outfit a less than finished look. Mr Black – Shoe Cleaner. For suede, a suede brush is your best friend, as you can't use the same kind of cleaning products on suede as you can on leather, so you options are a little more limited. It's a good idea to brush your shoes after every wear to prevent any build up of debris, but always remember to brush in the direction of the nap. There are different ways your suede shoes can get dirty, so there are different ways to deal with the damage. If you get mud on your suede, wait for it to dry and then carefully chip it off, before brushing out the excess dirty with a suede brush. Gum can be removed by placing your shoes in the freezer until the gum freezes, then, like the mud, carefully chipping it off. Water stains are tricky to remove and it's likely that your shoes will go a shade darker, but to create an even look stuff your shoes with newspaper and lightly spray them with water. Blot with a damp cloth and leave them to air dry. It's not intially clear when the oxford shoe first came about, but it was around 1825 that the popular 'half boot' shoe call the Oxonian was first reported. The style changed from a shoe with side slits designed for comfort, and a higher heel, to the classic formal piece we know today. Through their evolution they've become a shoe that's easily worn with formal outfits, but that can also be paired with more casual pieces like chinos and smart jeans. Although maybe people get oxfords and derby shoes confused because of their similar look, it's the difference in their lacing design that makes all the difference. 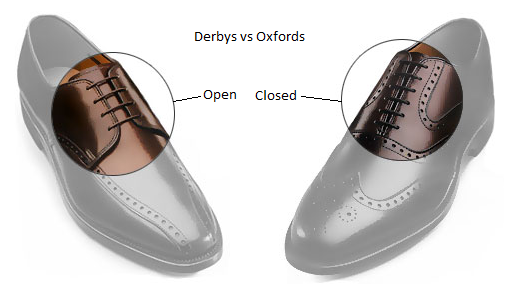 Oxfords have a closed lace system and brogues have an open laced system, which affects the overall look of the top half of the shoe and the gives the oxford a more compact, tighter design. Although there's no set rule on how to tie your oxford shoes, bar lacing is usually the neatest and most common way of finishing off your look. You can either have the end of your laces tied in a bow and displayed at the top of your shoes, or tied underneath the flap of your shoes and tucked away to give a clean look. Although oxford shoes seem to be set in a formal look, they were originally intended to be a more comfortable alternative to the high soled shoes of the day, and weren't necessarily meant to be for smart occasions. It's not a taboo therefore to mix them with more casual clothing pieces, and even jeans can get a look in when you're matching your oxfords. It is important to remember though that while it's possible to get a more casual look with these shoes, the look should never the less be streamline and neat, so avoid joggers and a long line top and go for more tailored pieces. One outfit that's easy to achieve, and creates a stylish and understated look is by pairing a simple slim line grey jumper over the top of a slim fit pair of black jeans, before finishing off with a black Harrington jacket. You can choose whatever oxford shoes you want with this, but a brown or burgundy will go well at creating a warmer contrast compared to the cool tone of the jumper. The problem with styling a smart look with a pair of oxford shoes is how much choice there is. You can really go for a huge range of styles, as oxfords and men's formal trousers go effortlessly well together, and a traditional pair of dark brown ones will go with various coloured suits. One outfit that's a simple classic is to pair a navy suit with a white shirt and brown oxford shoes. The white shirt adds a crisp contrast to the suit, while the men's brown dress shoes compliments the navy trousers. It's a timeless colour combination and suits every one regardless of age. Like most shoes with a broad history, no ones really sure exactly where the brogue first came from. There are hints that it originated from Ireland though, and it's clear it was designed to beThe latest news from style, life, arts, and culture and everything in between. Whether it's a new brand arriving into our style, our latest drops and editorials. You will never miss a beat with us.